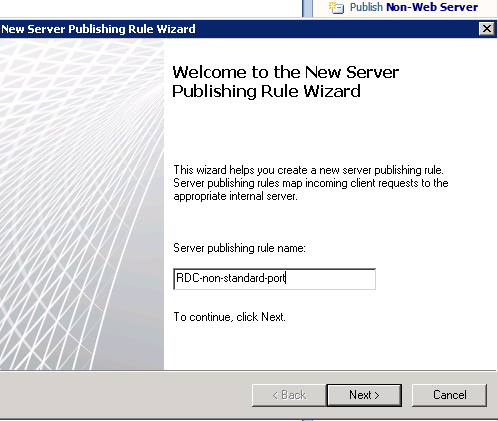 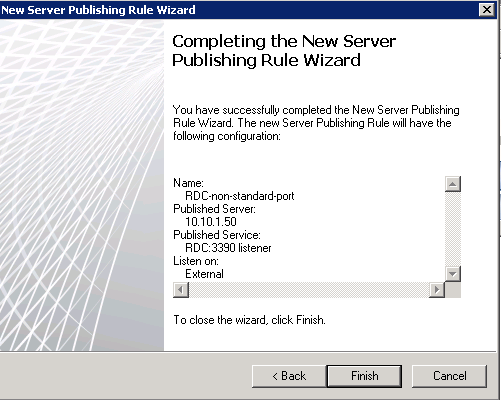 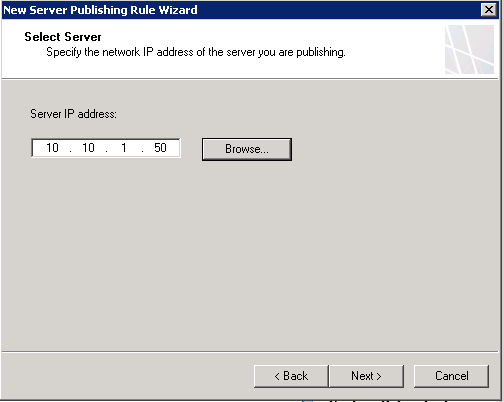 type IP address server on local network which you publish on non-standard port. 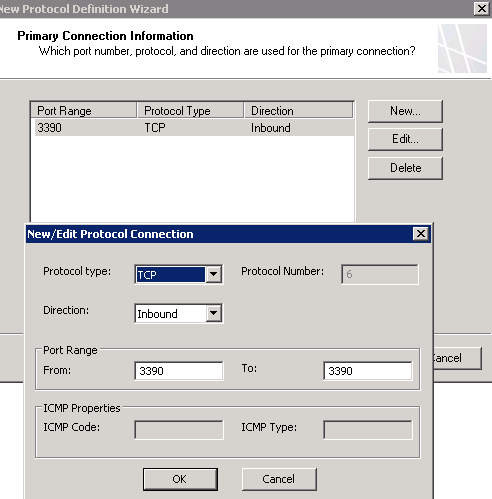 Choose TCP protocol, Inbound direction and port 3390. 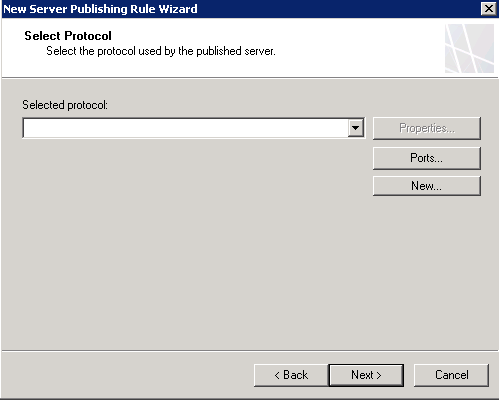 Click OK.
our new protocol is on the list. 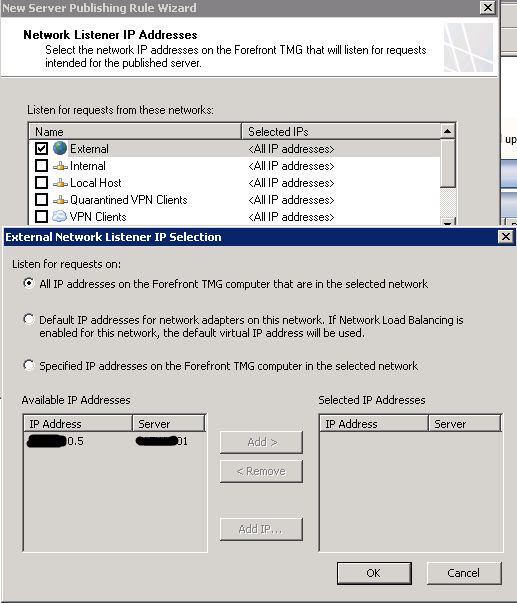 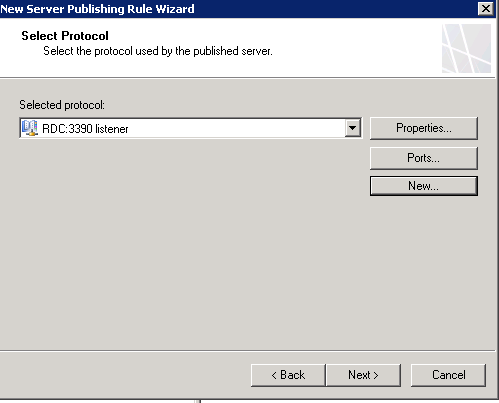 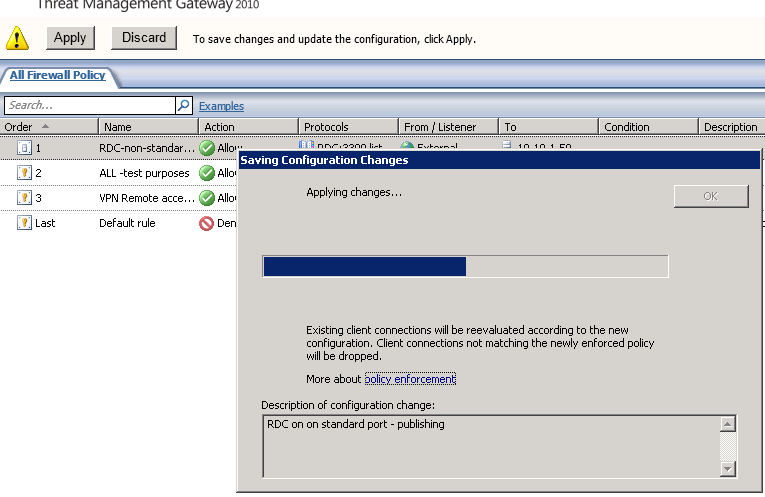 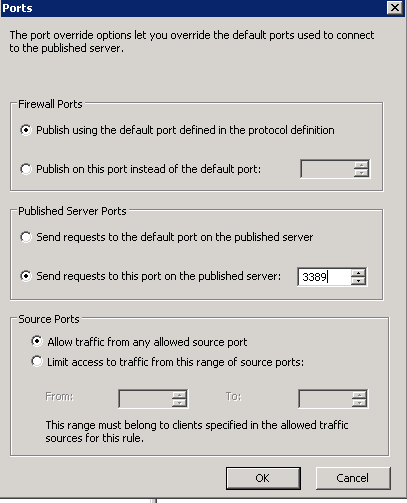 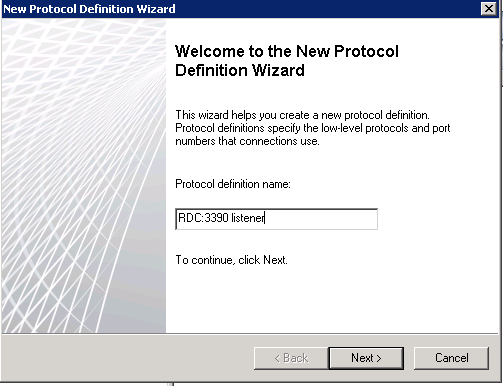 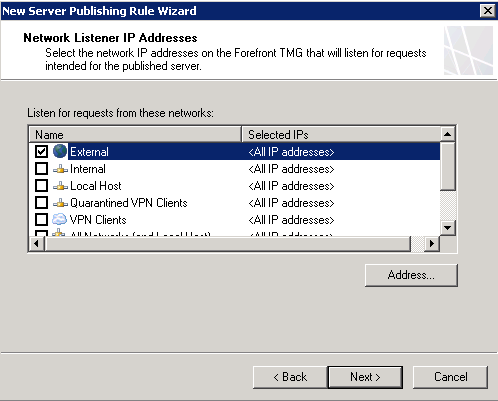 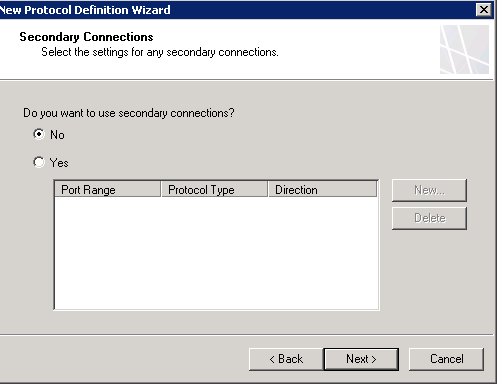 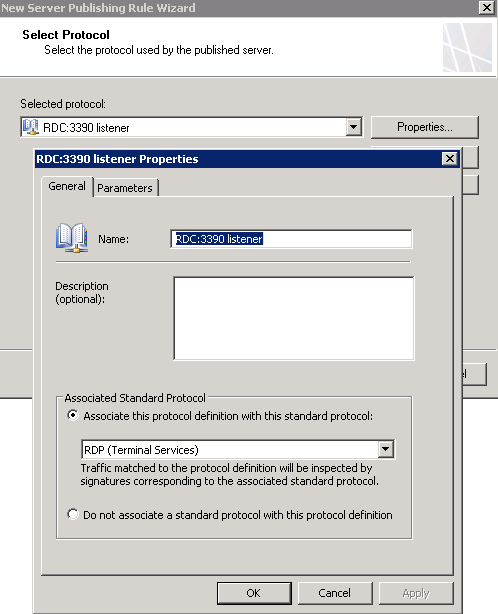 redirect traffic from port 3390 on firewall to port 3389 on server1.Click OK.
select network on which Forefront will listen for connections(by default on all ip onÂ external interface) but you can change it(see picture below).